Determining My Fate Two books, My Nana and Me and Pop Pop and Me and A Recipe, from a major publisher went out of print. The publisher gave the books no real support or marketing. They ignored my suggestions on how to promote the books. I suggested ebook and Spanish versions, but they did not agree. I feel strongly that I don’t want someone else determining my level of income. I decided to put the books back into print. My first thought was as a self-publisher but the inherent credibility issues and lack of marketing muscle behind self-publishing made that a last choice. Luckily I was able to find a small ebook/print on demand publisher who was interested in republishing my titles. I negotiated a contract that gave very limited rights to the publisher. That is the major reason I am exhibiting at the world’s largest book fair in Frankfurt, Germany in October of 2014. At the Frankfurt Book Fair I can present my books to publishers from 120 countries to sell translation rights, etc. When I went to the Bologna International Children’s Book Fair I negotiated two international contracts for two of my titles. Marketing My Books Authors have much more flexibility now than they did in the past. I have signed up for Apple’s ebook publishing program and a few others. The key element is the marketing effort you put into your products. Make contact with any celebrities you know. The celebrity angle helps. The challenges are time and money to support your book. You have to make marketing your books a semi-full time job. You have to allocate the money to support your books either to hire someone to help or to design, print and promote yourself. Some authors are not salespeople. To be effective you must sell, sell, sell. Authors have to wear a character, if necessary, to sell their books. Rewarding Myself The rewards are clear. It is better to be “captain of your fate” versus letting people who really don’t care about you or your books determine what happens. When you are successful you maximize income from your efforts. But, it is not an easy thing to do. Authors must look at their books through market lenses. 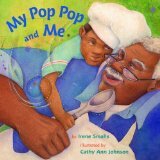 I recast Pop Pop and Me and A Recipe as a cookbook for kids and grandparents. I wrote an etiquette guide for kids to accompany My Nana and Me. The illustrator and I put together Spanish versions of the titles. Grandparents are very important in Latino culture. What is important is not what the books mean to me but what they mean to the market. Also, as people of color, we have to go global. 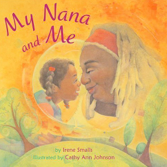 United States publishing as Walter Dean Myers and his son, Christopher Myers http://www.nytimes.com/2014/03/16/opinion/sunday/the-apartheid-of-childrens-literature.html?_r=0 noted in the NYT has such a limited and narrow view of books by authors of color for children of color. We have to move beyond the US. Technology can save us if we learn how to use it effectively. The market is not good or bad, it just is. We have to learn how to use the market and market forces to our advantage. 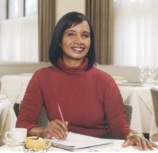 Click on www.irenesmalls.com for more about Irene Smalls’ fascinating career. Smalls makes an excellent point about international sales and taking it into our own hands. My first title from S&S was never sold internationally even though it’s set outside of the U.S. and I think would find a lot of enthusiastic readers elsewhere as it has in this country. Thanks Tracey. She is certainly an inspiration. Wow – It never occurred to me to go to Bologna, ever. I didn’t realize authors went there themselves. This is huge – it opens up the world. I agree and like you, I never thought about attending European book fairs either.